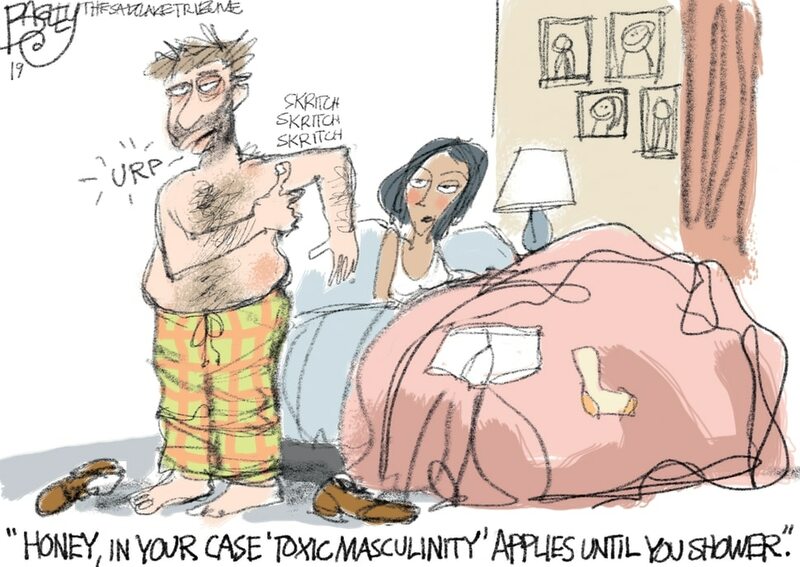 This Pat Bagley cartoon, titled “Toxic Masculinity,” appears in The Salt Lake Tribune on Thursday, Jan. 17, 2019. 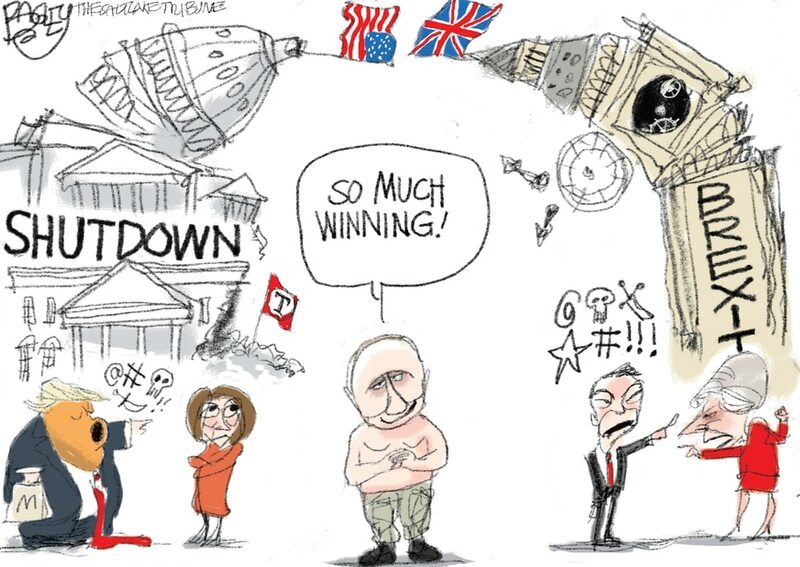 This Pat Bagley cartoon, titled “Too Much Winning,” appears in The Salt Lake Tribune on Wednesday, Jan. 16, 2019. 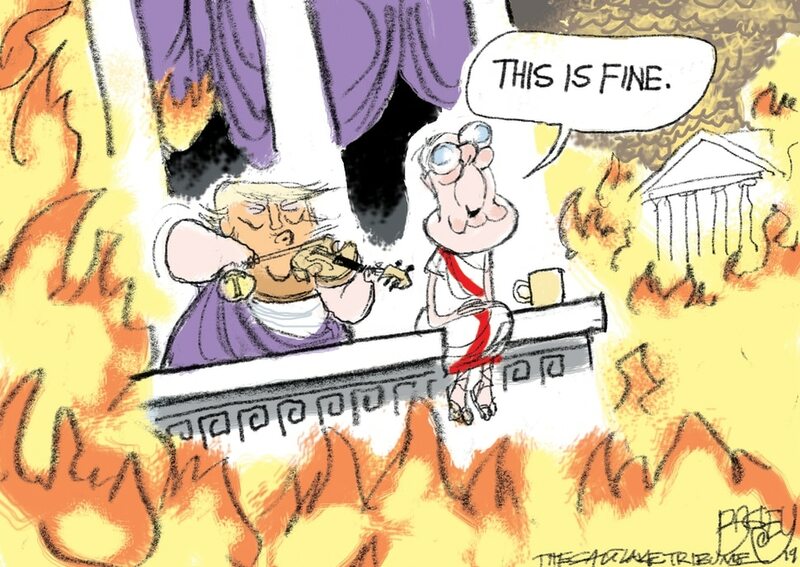 (Pat Bagley | The Salt Lake Tribune) This Pat Bagley cartoon appears in The Salt Lake Tribune on Tuesday, Jan. 15, 2019. This Pat Bagley cartoon appears in The Salt Lake Tribune on Sunday, Jan. 13, 2019. This Pat Bagley cartoon appears in The Salt Lake Tribune on Friday, Jan. 11, 2019. This Pat Bagley cartoon appears in The Salt Lake Tribune on Thursday, Jan. 10, 2018. This Pat Bagley cartoon appears in The Salt Lake Tribune on Tuesday, Jan. 8, 2019. (Pat Bagley | The Salt Lake Tribune) This Pat Bagley cartoon appears in The Salt Lake Tribune on Sunday, Jan. 6, 2019. This Pat Bagley cartoon appears in The Salt Lake Tribune on Friday, Jan. 4, 2019. This Pat Bagley cartoon appears in The Salt Lake Tribune on Thursday, Jan. 3, 2019. (Pat Bagley | The Salt Lake Tribune) This cartoon by Pat Bagley, titled “New Year's Resolution,” appears in The Salt Lake Tribune on Sunday, Dec. 30, 2018.